Celebration World in Kissimmee, Florida: the nearby theme parks make it one of the world's most desired holiday destinations. Many of Orlando's top attractions are readily more accessible from Kissimmee than Orlando! Celebration World resort brings you by far the most value for your Kissimmee/Orlando area vacation dollar. Enjoy seven nights in a spacious vacation condo rental that often includes a full kitchen with one, two, even three bedrooms at this luxurious 91 acre vacation resort. Celebration World vacation rental auctions open at $1! Bid on a fantastic Kissimmee/Orlando area vacation deal...or Buy-It-Now with our Best Price Guarantee. Legacy Vacation Club Orlando in Kissimmee, Florida NEAR DISNEY - Buy a 7 Night Stay in a 2 or 3 Bedroom Suite! 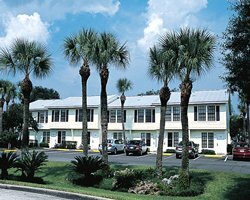 Legacy Vacation Club Orlando in Kissimmee, Florida NEAR DISNEY - Buy a 7 Night Stay in a Studio Unit! 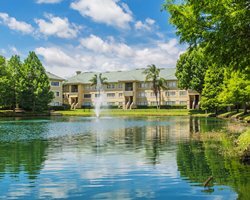 Legacy Vacation Club Orlando in Kissimmee, Florida NEAR DISNEY - Buy a 7 Night Stay in a 1 or 2 Bedroom Suite!